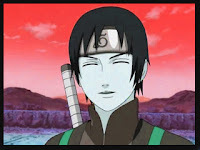 Sai is added to Team 7 as a replacement for Sasuke Uchiha. As a member of Root, Sai has been trained to have no emotions, a trait meant to make him impartial to his missions. This lack of personality causes him to meet with hardship upon joining Team 7, as he makes the mistake of insulting the other members in an attempt to seem sociable. After spending more time with his team, Sai comes to appreciate bonds, particularly the bond that exists between Naruto Uzumaki and Sasuke Uchiha. Wanting to experience bonds for himself, Sai sets out to make as many bonds as he can. His initial attempts consist of giving people pet names, though his habit of calling people as he sees them, finds little success. Realizing that people dislike hearing the truth of how he sees them, Sai begins to say the opposite of how he perceives them instead, such as calling Ino Yamanaka "beautiful". 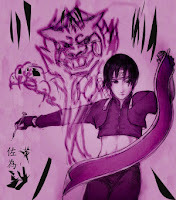 Sai is a talented artist, and claims to have drawn tens of thousands of pictures. Despite the magnitude of things he has drawn, he has never given any of his works a title, a side effect of his lack of emotion. Sai's drawing ability doubles as the source behind his jutsu; he is able to bring to life anything he draws on a scroll he carries with him. These creations range from birds that he can use for flight to copies of himself that can act on his behalf. Sai can also transform words he writes on his scroll into small animals that seek out their target and revert back to words upon reaching their destination, giving Sai a discreet way to communicate across long distances.